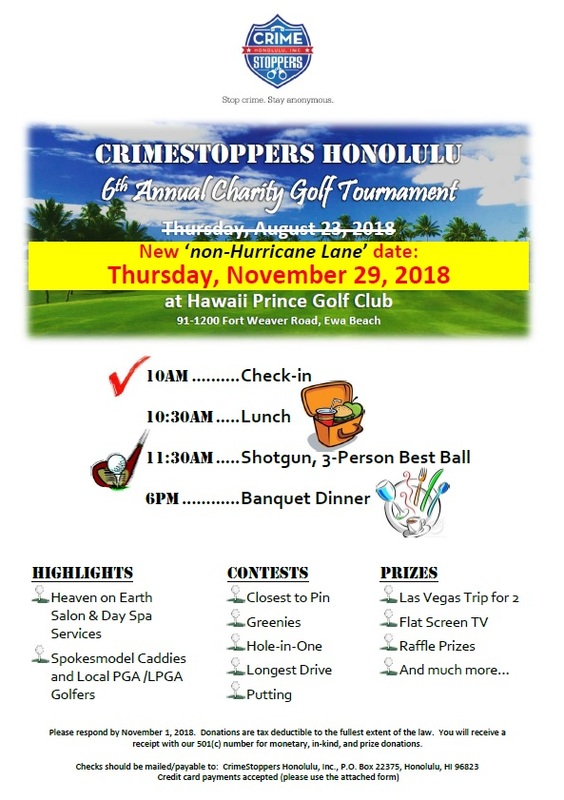 CrimeStoppers Honolulu is holding its 6th Annual charity Golf Tournament on Thursday, November 29, 2018. Join us for a great day of golfing, good food, and fabulous prizes! Enjoy networking with others professionals, good company, and great golf, all while supporting CrimeStoppers! Click on the link below to download the registration and donation forms.